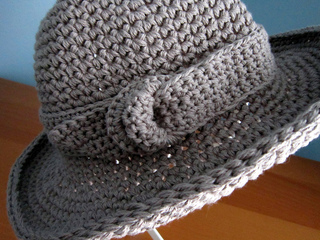 This hat is made holding 2 strands of yarn togther. It will fold into a tote or backpack but is not floppy. 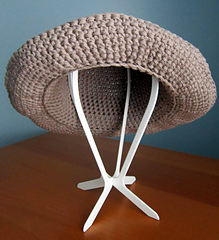 The brim can be turned up or down. The size can be adjusted about an inch by cinching in the hatband at the buckle. A sturdy cotton DK yarn is required. 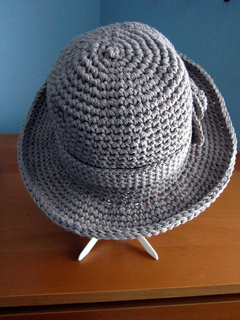 The hat is worked entirely in single crochet stitches. 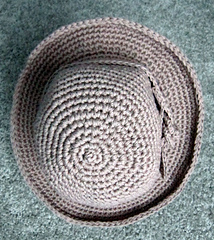 When viewed from the top, the hat is not square. 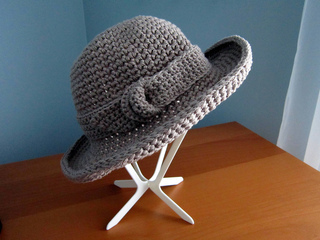 It appears this way because of the rods on the hat stand.